This is an old historic building on Sydney’s foreshore that was once a naval shipping dock and is now a vibrantly operating boat yard which houses many interesting boats including the very famous ‘WILD OATES’ Sydney to Hobart racing fleet. 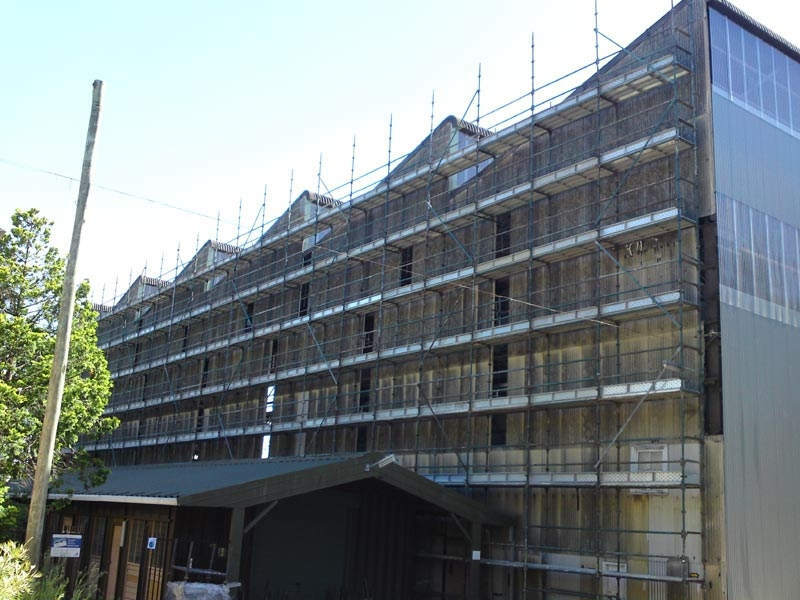 This project involved the complete removal of all of the asbestos from the roof and walls which were then re-cladded in Colorbond metal, new windows and louvers were also installed. Close attention to early planning, careful staging and monitoring of the works was required to overcome the many project constraints and challenges; a lot of scaffold and equipment was required. Throughout this project detailed co-ordination with the Sydney Harbour Trust and their tenants was required.